AZfamily.com reported today the story of Rosie Stewart who found herself in $175,000 worth of credit card debt after her business fell victim to the economic downturn. Like many people she turned to a debt settlement company that was big on promises but short on results. Essentially she paid this company Ram Financial Services over $12,000 dollars and received nothing but a lawsuit form one of her creditors. Incredibly when she contacted Ram about the lawsuit, she was told that the entire $12,000 that she paid them went toward their fee and nothing went to settle her debts. To further add major insult, they also added that she still owed them another $8,000 before they would negotiate with her creditors. As you can imagine, she was furious and demanded a refund. Their response was that it was all in the contract and it was her fault for not reading and understanding that they were going to charge her $20,000 before they did anything to help her. It wasn’t until the “3 on your side” news team intervened that Ram agreed to refund 75% of her money. Sadly this is how the majority of these vulture debt settlement companies operate, and consumers learn this the hard way. Before seeking financial help from any company, you must review the contracts in detail and never sign anything that you don’t fully understand. Any salesman can bump their gums and do a great job telling you exactly what you want to hear, but if it isn’t in the contract, then it doesn’t exist. The reality is that the majority of these debt settlement outfits are nothing more than marketing firms, set up to separate consumers in trouble from what little money they have left. Never let them rush you into a decision, trust your gut and do your research. Any company that doesn’t tie their fees to their performance should be highly suspect to you. Man, there’s just so many of these scam debt collection companies that it’s hard for consumers to know who to trust. I wrote some articles on this topic myself; people definitely need to pay attention to the contracts. But something else I recommended; if you can’t get any information on a company from another source, don’t use them. .-= Mitch´s last blog ..Invest In Internet Stocks – Really! =-. I think you meant Scam Debt Settlement Companies. I know they are easy to confuse because there are so many Scam Debt Collection companies as well. You are correct, you always want to look for as much information both positive and negative on any company before deciding to hire them. That pretty much goes without saying across all industries, not just the financial. Thanks for contributing to the blog, a just recently turned the comments on. Yeah, I meant “settlement”; my mind was elsewhere when I wrote that, but those guys are bad also, in a different way. Glad to be one of the first with comments! .-= Mitch´s last blog ..Why Unemployment Numbers Can Be Misleading =-. This is terrible. There always seems to be unscrupulous companies and individuals that see the opportunity to exploit people when they are desperate for help. At least with posts like this you are helping to educate people who may be unaware that this stuff even happens. Yes it is really bad out there. Most of these companies are just outright crooks and frauds. I am doing my best to get the education out there along with a good handful of other consumer advocates, but these hucksters spend so much money on advertising that it makes it hard to get in front of consumers. I rely mostly on google and referrals from bloggers and financial professionals to point consumers in my direction. .-= Damon Day´s last blog ..New Debt Settlement Video is Eye Opening for Consumers =-. We would like to clarify the story by 3 On Your Side Story entitled ‘Debt Settlement Nightmare for Phoenix Woman’. Sites such as damonday.com, forums, 3-On-Your-Side, and any other Consumer information sites I not only recommend for clients and friends, but personally I use them myself because they are an excellent resource for information. With regards to the ‘Phoenix Woman’ Rosie Stewart here is what I can tell you. We are a company that tells every client who enters our program how debt settlement really works. We do not paint the sky blue, we tell the truth on what to expect, and the steps that will happen and could happen – and this is done through a triple verification process. If the client do not understand the program or has any hesitations, we do not enroll them. We find if expectations are set from the beginning, then the process is relatively smooth; and we have many satisfied clients who are debt free who can and will attest to our company. Mrs. Stewart enrolled with full understanding and commended us on numerous occasions. However in Month 7, she demanded she be cancelled from the program and not only requested a 100% full refund, but a 200% refund of her monies. After we could not oblige to her request she contacted ripoffreport.com and Channel 3 On Your Side. “As for Rosie Stewart, your concerns should probably be directed towards her. As 3 On Your Side discovered, Mrs. Stewart misunderstood how the program worked. However, after 3 On Your Side’s involvement, RAM Financial was able to not only clarify the confusion but even offered a resolution. At this time, we will not be pursuing a second news report regarding Mrs. Stewart and her relationship with RAM Financial. We have 1 complaint on the Better Business Bureau by Mrs. Stewart. This has been resolved by the BBB. We thank Damon for the opportunity to tell our side of the story and hope that anyone who reads this understands that we are a company committed to helping people with their unsecured debt. There are lots of scams, there are lots of companies who front load their fees. Our advice is to do your research and due diligence and talk to at least 4-5 companies to get a better idea of different programs and fee structures. I appreciate you taking the time to explain your side of the story and I certainly want my readers to have as much information as possible, so they can make informed financial decisions. I of course was not privy to the conversations between you and Mrs. Stewart or with the 3 on your side team, so I cannot comment about what was disclosed or not disclosed. I can certainly appreciate that you take the time to explain the program that you offer to all potential clients. That is certainly something that is severely lacking with most companies in this industry. That being said, and in the interest of full disclosure, my personal opinion is that I do not agree with the amount of money that Ram charges as a fee to consumers, and the structure that those fees are applied with. Of course, as I said, that is my personal opinion, and consumers are free to make up their own mind to decide how much they are willing to pay for a service. I hope that Ram and Mrs. Stewart will be able to come to a resolution that is satisfactory for both parties. 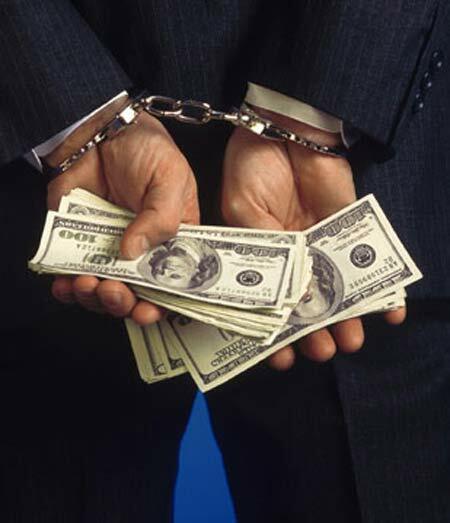 .-= Damon Day´s last blog ..Debt Settlement – 15 Companies under Investigation in New York =-. Thank you Damon. I agree with you as well with regards to the structure of fees that Mrs. Stewart mentioned on the news report. Our fees however are not structured as she mentioned, nothing close. When consumers are looking for a debt settlement service they will find two basic models: a) performance based and b) fixed fee based. If you go with a performance based company, be sure they are credible but ask the all the right questions and even ask for settlements. There are performance based companies with bad ratings. If you go with a fixed fee based company, stay away from companies front loading their fees. Be sure it’s spread out over a good length of time – in RAM Financial’s case we chose the fixed fee model with fees spread out as far as 20 months. What does this mean for the consumer? More savings, faster settlements. Thank you again for allowing me to clarify on your site. I wish your readers and anyone who reads this who is in trouble all the best and to understand that research is key and sites such as http://www.damonday.com are crucial to separating the bad apples in our industry; unfortunately there are so many of these in the debt industry that companies such as ours who are committed to helping and doing the right thing are affected. Thank you for clarifying your fee structure. I am aware of the two different fee models. I personally am not a fan of the fixed fee model. I know some companies charge the entire fee within 12 or 14 months, so 20 months is better than most of them. However, I feel that it is in the consumers best interests for a company to tie their fees to their performance. That way the client is insured that the company has a financial incentive to work for the best settlement and see the program through to completion. I am not saying you guys don’t have your client’s best interests in mind. I surely hope you do, as all businesses should. However can you see how it might make your clients more comfortable if you charged a fee based on what you saved them and charged it when the settlement was made? You could make the same amount of money if you wished, but it would allow the client to save more money, settle even faster, and sleep a little better at night knowing that Ram was financially incentivized to do the best job for them? Perhaps a performance based fee structure could have helped avoid the frustration that Mrs Stewart was feeling. .-= Damon Day´s last blog ..Debt Settlement Companies – Top 5 ways they can Screw you! =-.